Microsoft Word is a word processor that is developed by Microsoft. Released during the year 1983, Microsoft Word was released for various platforms. Its native file formats are denoted by a .doc or .docx file extensions. Microsoft Word for Windows is available as stand-alone or as a part of Microsoft Office Suite. The word contains desktop publishing capabilities and is the most widely used word processing application in the market. But, over the past few years, there have been many alternatives to Microsoft Word that were released. Many are available for free and some paid. Through this article, let us explore the top alternatives of Microsoft Word. A top alternative of Microsoft Word, Dropbox Paper is owned by Dropbox is a word processor and collaborative software. It was released during the year 2015. It provides web application and also apps for mobile. Dropbox Paper is more than a document; it is a workspace that brings together the creation and coordination in one place. 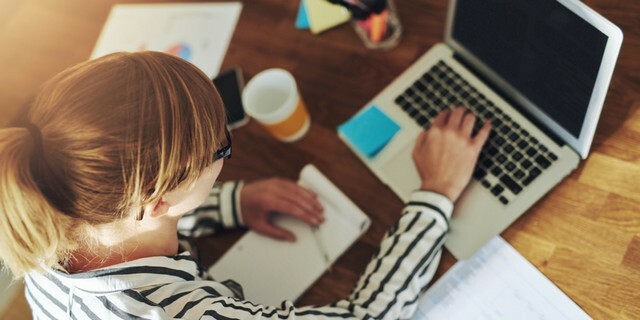 Users will be able to write, review, edit, design, run meetings, and manage tasks. 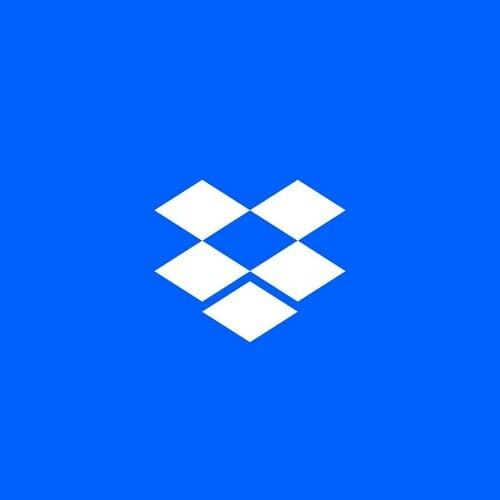 To start using Dropbox Paper, any user will need to have a Dropbox account. A user gets full access to the online suite, once they are logged in. The simple interface of Dropbox Paper is very intuitive and is simple enough to focus on the user’s content. 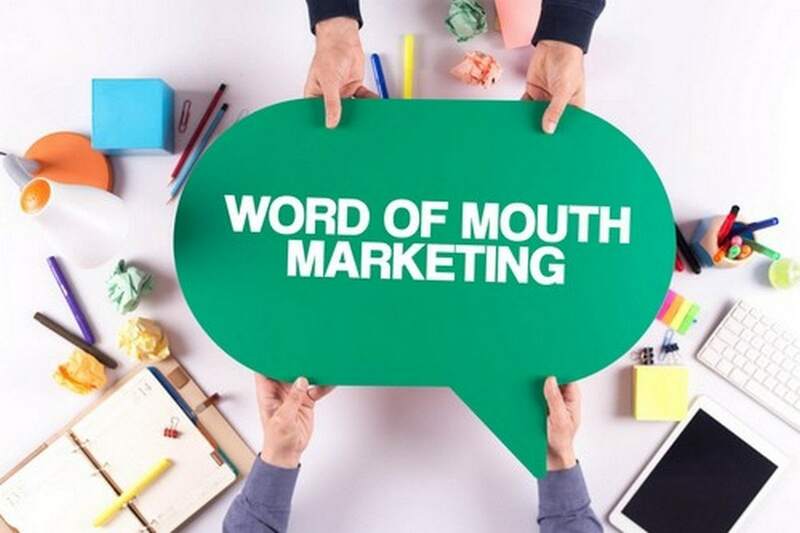 Apart from a textual document, a user can also add rich media like video, audio, and images. Dropbox Paper will also allow the user to access various apps like Youtube videos, Trello cards or SlideShare decks. It has many other collaborative features like document link-sharing, create and assign checklist items. Dropbox Paper is, in fact, does an exceptional job at creating dynamic documents that a user can share and access online. Word Online allows users to create, edit, and share documents with other users on shared projects in real-time. It extends Microsoft Word experience to the web browser where the users will be able to work with the documents directly on the website where the document is stored. 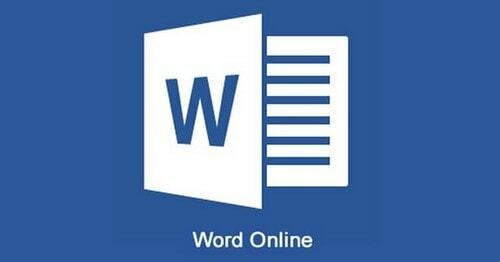 Word Online contains a combination of the most common features and real-time Word. This application comes as part of Office Online suite. This is a free MS Word web all and it allows any user to create and edit Word documents online. It also provides a few additional benefits of online software tools. A user will be able to share and collaborate on documents and one of the most important highlights of Word Online is its cross-platform compatibility. So, even if the user makes use of Chromebook or Linux OS User, MS Word web app is the most sophisticated way to gain access to the editing features of any Microsoft’s document. Also regarded a top alternative of Microsoft Word, Google Docs allows users to create meaningful documents. Users can create, edit, and collaborate documents at any place. Google Docs brings out documents lively with smart editing and stylish tools that help the users to format text and paragraphs. Users can choose from any available fonts, images, add links, and drawings. Google Docs also has a wide variety of resumes, pre-made documents, and reports. 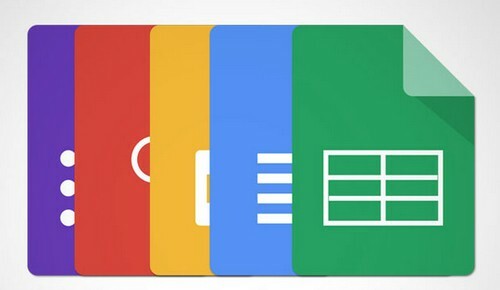 Google Docs is available for users having a Google account and the documents can be created, edited, and accessed from any place and through any device like a phone, laptop, and tablet. Google Docs provides users a chance to work together in the same document and at the same time. The changes made in the document are automatically saved and the old version of a particular document is also seen and stored as per the date. 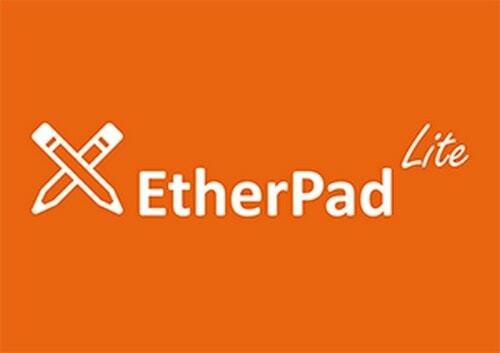 Etherpad is an open-source, real-time, and web-based collaborative editor that was released during the year 2008. Etherpad is another alternative of Microsoft Word that allows users to simultaneously edit text documents and be able to see the edits in real time. It also has the ability to display various colors for each author’s text. This application also has a chat box along its side to permit metacommunication. Etherpad being an online document editor mainly intends to collaborate editing. It is an open source and highly customizable tool for online document collaboration. Etherpad allows any users to create a new collaborative document that is known with the name ‘pad’. Here, each pad has its own URL and any other user who knows this URL will be able to edit the pad and available in the related chats. There are also password-protected pads to enhance the security of the documents. Zoho Writer is a part of Zoho Office suite that is another alternative of Microsoft Word. It is a set of productivity apps that process documents and also allows users to collaborate while working with them. Zoho Writer allows creative real-time editing and mobile access to help the user to take control of the document. It is available to work across all the devices. Users can link Zoho account to Google and Yahoo account. Zoho Writer’s interface is comfortable and a familiar one. To enable smooth working in the Zoho Writer, the application has the auto-save feature that automatically saves the document as the user types it. This application has other features that allow the user to work online easily like large file transfer, two-way desktop sync, encryption, file recovery, two-step authentication, and many more. OpenOffice.Org is commonly known as OpenOffice is another alternative of Microsoft Word and is released during the year 2002. This application has everything that is expected from a modern and fully equipped word processor. It is a simple application and also a powerful one to create complete books with various contents, diagrams, images, etc. Few features of this application are Styles and Formatting, AutoCorrect dictionary, AutoComplete, Text Frames, Table of Contents, References, Multi-play display, Notes, and many more. The writer can open PDF files without having the need to add a plug-in or commercial add-on. As this application is an open source it is maintained by a large community that helps and bug fixes are made easily available. This is indeed a desktop alternative to Microsoft Word. 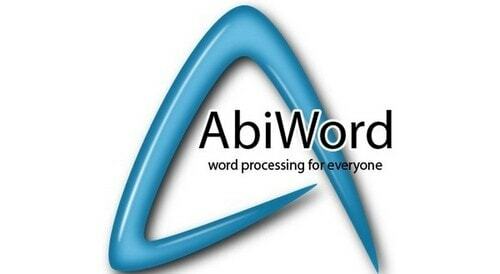 AbiWord is a free and open-source software that is an alternative of Microsoft Word which was released during the year 1998. AbiWord supports both word processing features like indents, lists, character formats and sophisticated features like styles, tables, headers, footers, templates, spell checking, grammar, and many more. This application works like the Microsoft Word where the interface is similar. The interface follows the user interface guidelines for each respective platform. AbiWord comes with many import and export filters that supports many formats. AbiWord has an advanced document layout capabilities that can perform mail merge that automatically fills in specific form fields in the document. This is, in fact, a highly useful feature if you require to work with many formats at the workplace. Yet another alternative of Microsoft Word, Jarte is a word processor for Microsoft Windows that was released during the year 2018. This is based on the WordPad engine. 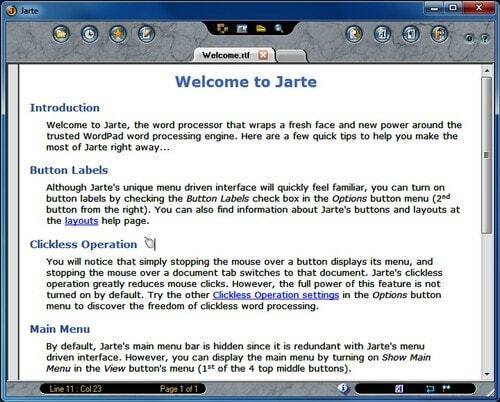 Jarte version of applications is fully compatible with Word and WordPad documents. The various features of Jarte include an ergonomic tabbed interface, portability, small resource requirements, quick loading time, and support for touchscreens. This application also has a built-in spell checking and be able to export to HTML and PDF files. Jarte application allows the users to insert images, tables, links and all other features of Microsoft Word. Jarte editor provides spell checker and also has the option of installing many languages. It has an excellent interface with three select-able basic layouts like mini, compact, and full. This application can read and write RTF and TXT files. 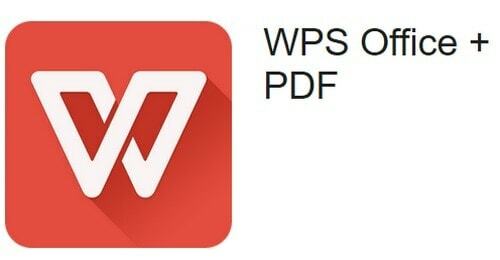 WPS Writer app is an alternative to Microsoft Word. It can open and save to a long list of many popular file formats like docs, doc, and many more. This application is available in many languages like French, English, German, Spanish, Polish, Russian, and Portuguese. WPS Writer has the same look and feels as that of Microsoft Word. Apart from these, the application has tabbed viewing window to enable a user to open more than a document at a time. WPS also provides cloud storage where the company’s cloud document storage service offers up to 1GB free storage. WPS Writer is 100% compatible. It supports doc, docx, txt, HTML, dot, and dotx. The user can open and edit documents from other users, save them from WPS itself. WPS Writer has many familiar formatting tools. Yet another alternative of Microsoft Word, SoftMaker is a full-featured application. SoftMaker’s TextMaker applications allow users to focus on creating documents like Microsoft Word. This application provides many essential features and also basic templates used for creating and editing many kinds of documents. The standard formatting options are available in this application along with table, chart, and shapes creation. This application provides users with everything the users require. SoftMaker is available for Windows, Linux, and Android so that any user can keep their document processing tasks going even when the user is away. Having discussed the various alternative of Microsoft Word, they are indeed many applications for Word processing. The above-listed alternative of Microsoft Word provides the users with the gist of various alternatives of Microsoft Word.